By this useful Article I guide you that how to solve DNS Servers Error in Google Chrome to use Windows 10 or any Windows version. This article is very useful like other tutorials. No Doubt you are irritating to open a web page in Google Chrome and all it provide error message like “DNS Error cannot find server.” You are trying to solve the matter and another solution is that use F5 to refresh a page but the error continued. You then open an alternate browser, like Internet Explorer, Microsoft Edge or Firefox and the website loads up without any problem. So it is a Google Chrome definite issue and has nothing to do with DNS Servers or your Internet connection. Further the help page on Google Chrome website propose that you clear your browser cache and clean the cookies and scan your computer for malicious software to fix the issue. You have done it and also the error is continued and problem not fixed because the issue is not “malware” but a built-in Chrome setting that’s possibly prevent definite websites from opening up in Google Chrome. During the visit of webpage in search result, Google Chrome will pre-fetch the IP addresses of all websites that are listed on that page. Since the browser has the IP addresses of all the links in advance, DNS pre-fetching ensures that any links that may you click on that webpage will load more faster. However, when pre-fetching fails, something that’s not very uncommon, you may get the “link broken” error. 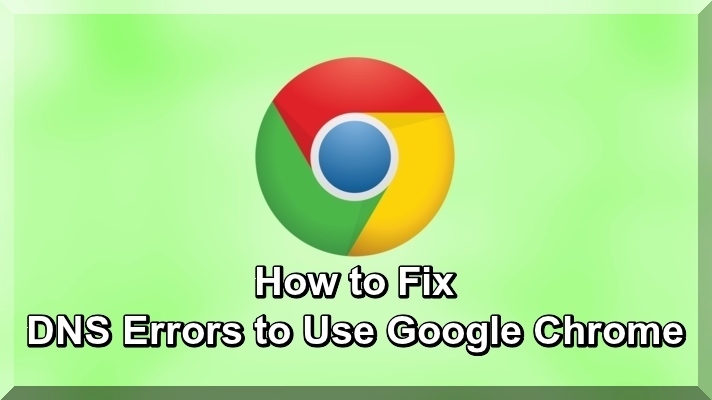 Now see the following step by step suggestions how to solve the DNS Servers error in Google Chrome. Now as per instructions of above you have solved the problems easily and I hope this tutorial is very useful like other technical tutorials and enjoy.